Bonus: During the Token Sale, there is a tiered pricing structure. The sale price starts at 1 ETH: 100,000 XYO and maxes out at 1 ETH: 33,333 XYO. With the advent of blockchain-based, trustless smart contracts, the need for oracle services that arbitrate the outcome of a contract has grown significantly. Most current implementations of smart contracts rely on a single or aggregated set of authoritative oracles to settle the outcome of the contract. In cases where both parties can agree on the authority and incorruptibility of the specified oracle, this is sufficient. However, in many cases, either an appropriate oracle does not exist or the oracle cannot be considered authoritative because of the possibility of error or corruption. Location oracles fall into this category. The divination of the location of a physical world item relies on the reporting, relay, storage, and processing components of the given oracle, all of which introduce error and can be corrupted. Risks include data manipulation, data pollution, data loss, and collusion. Thus the following problem exists: both certainty and accuracy of the location are negatively impacted by the lack of a trustless, decentralized location oracle. 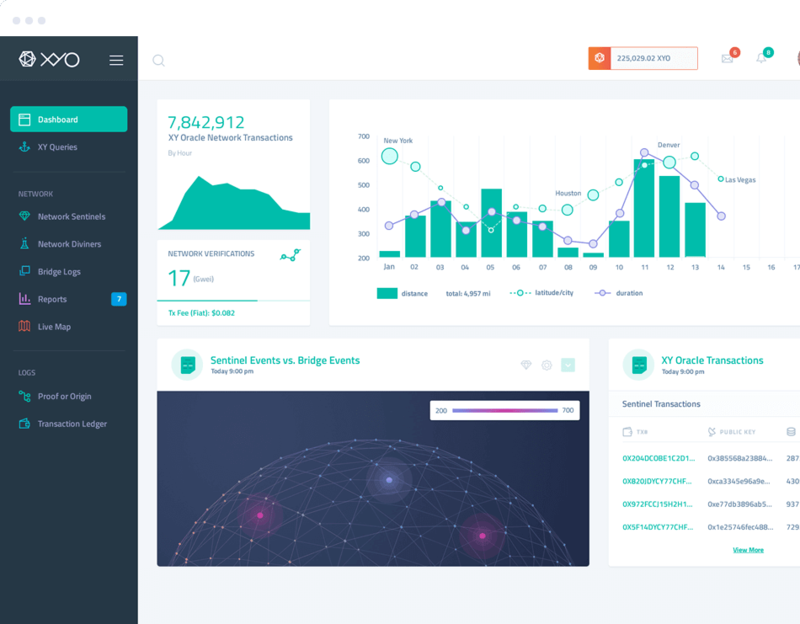 Platforms such as Ethereum and EOS have been used extensively for their power to mediate interactions securely online with the primary use cases involving escrows for fundraising escrows in the form of ICOs. However, up to this point, every platform has focused entirely on the online world and not on the physical world due to noisy, corruptible data integrity of current information channels. 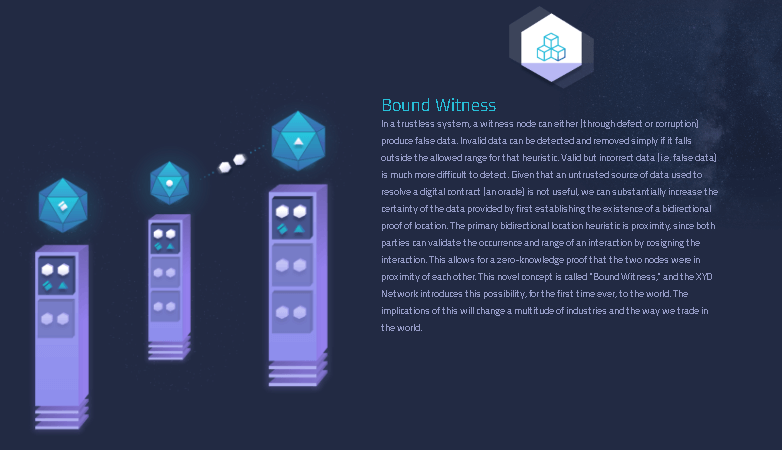 The XYO Network has been working towards the concept of enabling developers, such as those writing smart contracts for blockchain platforms, to interact with the physical world as if it were an API. The XYO Network is the world’s first oracle protocol that makes it possible for two entities to transact in the real world without a centralized third party. Our abstractions allow us to make location verification trustless for developers, creating a protocol with novel use cases that have not been possible until today. 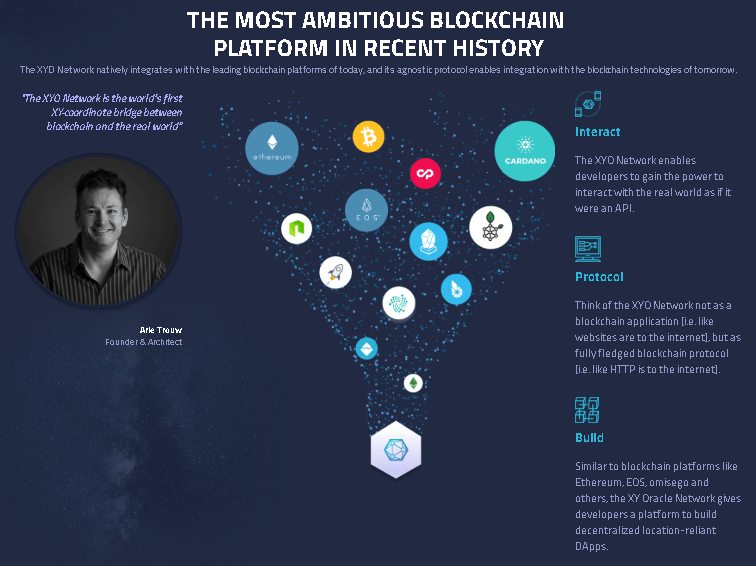 The XYO Network will be built upon an existing infrastructure of over 1,000,000 devices circulating in the world that were distributed through their consumer-facing findables business. XY’s Bluetooth and GPS devices allow everyday consumers to place physical tracking beacons on the things they want to keep track of (such as keys, luggage, bikes and even pets). If they misplace or lose such an item, they can see exactly where it is by viewing its location on a smartphone application. In just six years, the XYO Network has created one of the largest consumer Bluetooth and GPS networks in the world.